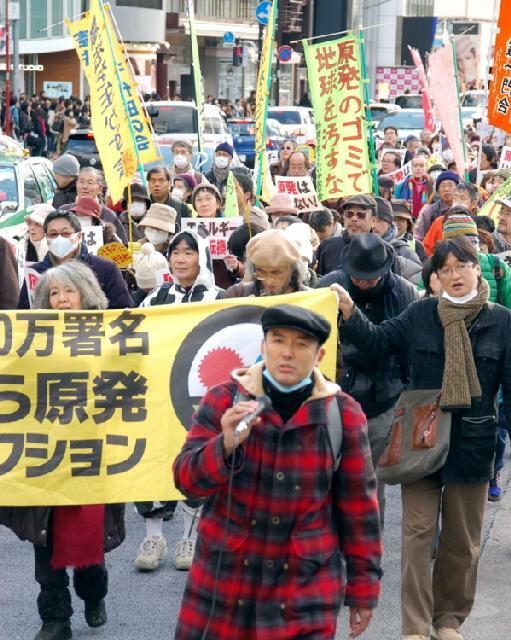 The no-nukes human chain action conducted on March 11 around the Diet was a tremendous success. Countless people lined up surrounding the Diet building. After the sun set, they lit candles in their hands. A seemingly endless line of candles were seen in the dark. "I am sure there are more than 10 thousand people here!" said the organizer of the action excitedly. 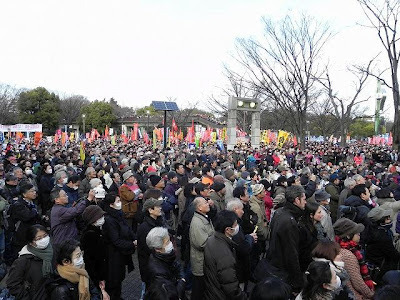 No one must have observed such a sea of protesters in the vicinity of the Diet, probably, since the historic struggle against the U.S.-Japan Security Pact in 1960. The people gathered were diverse in age, gender or nationality, but shared the same anger that was expressed variously in the signs they had. 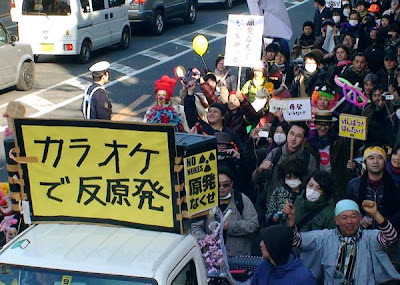 "No more nuclear plants!" "Re-start (of nuclear reactors)? No way!" "The Diet must listen to us with whom the sovereignty resides." Tokyo High Court overturned a lower court's decision on March 7 in a lawsuit that temporary tour conductors affiliated with the Hankyu Travel Support (HTS) Local of the National Union of General Workers’ Tokyo Tobu filed against the travel company over the method to measure work hours and calculate overtime payments. The plaintiffs claimed that the company failed to calculate the overtime hours because of the nature of their work. HTS claimed that overtime hours were counted in their required work hours and overtime pay in their salary. Tokyo District Court approved of the company's claim in September 2011, though ordered it pay unpaid overtime hours and fines. The high court judge, OTAKE Takashi, approved more overtime hours than the District Court did and ordered HTS pay a total of about 27 million yen including fines. In addition, the judge dismissed the company's claims on the calculation of work hours and overtime for tour conductors that the lower court endorsed. Forty-two shareholders of Tokyo Electric Power Co. filed a negligence suit on March 5 against Chairman KATSUMATA Tsunehisa and 26 other current and former board members of the utility over the Fukushima nuclear crisis, seeking 5.5 trillion yen in damages that is the highest amount ever sought in a Japanese civil suit. The press conference started a little after 4 p.m. at the Judiciary Press Club in Tokyo. The room was packed with nearly 60 reporters and more than 10 TV cameras. 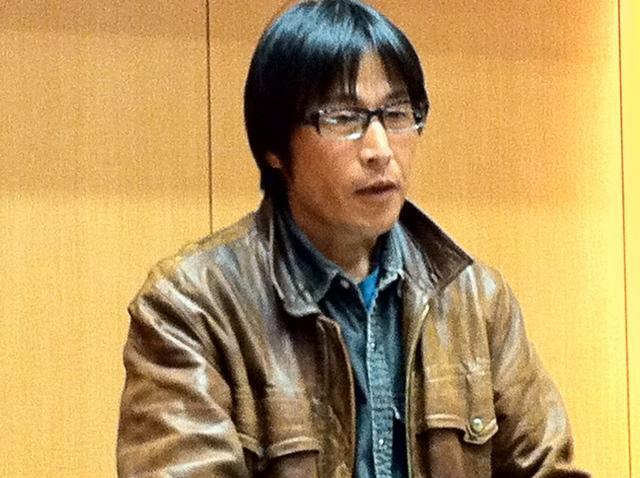 Attorney KAWAI Hiroyuki strongly condemned the defendants. 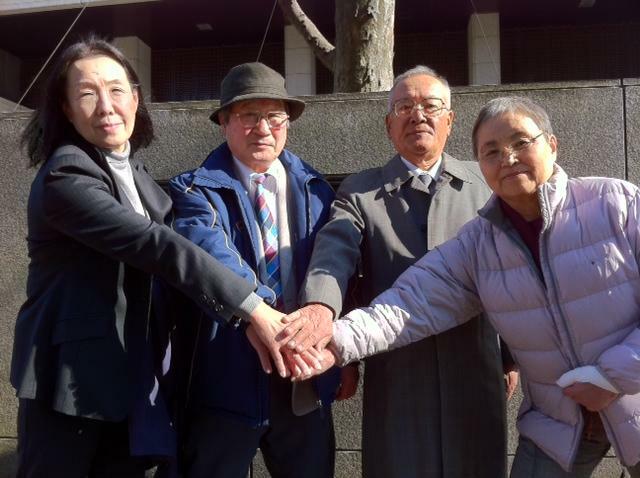 "We can never tolerate the fact that they are enjoying or expecting happy wealthy post-retirement lives, while resident of the areas affected by the nuclear disaster are suffering the direst distress. It has been a year since the disaster occurred, but neither the company nor any one of the directors has accepted due liabilities. We want to rectify such a system of collective irresponsibility that prevail in the nuclear power industry by pursuing their individual responsibilities, " he said. General Annual Meeting of Labornet Japan for 2012 was held on March 3 in central Tokyo. Some 40 members attended. In the discussion on the policy and programs for the coming year, some attendees reported severe circumstances of their work places. 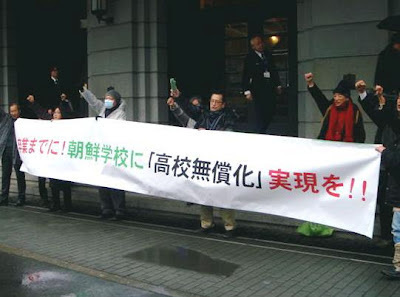 "In the wake of aggressive administrative reforms pursed under previous administrations, particularly those by prime ministers Nakasone and Koizumi, workers have practically been deprived of many rights. What remains are only those that were already granted in the 19th century." "The trade union is completely subordinate to the management," they said. Active discussion centered around Osaka Mayor, HASHIMOTO Toru, the icon of neo-liberalism that is gaining stronghold in Japan. 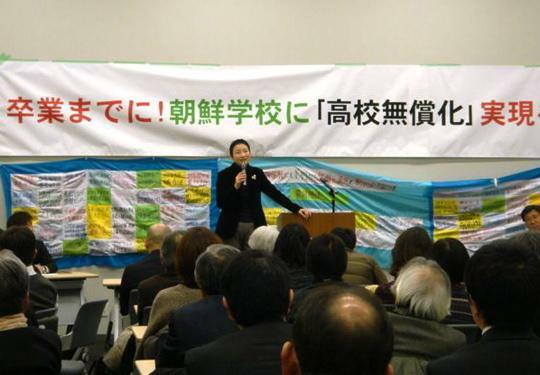 Many apprehended that policies of local governments led by neo-liberalist politicians such as Hashimoto and Tokyo Governor ISHIHARA Shintaro would exacerbate difficulties for the labor and regarded the struggle against them as the greatest challenge for this year. They debated enthusiastically on how to prevent farther weakening of the weak under neo-liberalistic policies or how to raise awareness among those who are indifferent about the recent development. 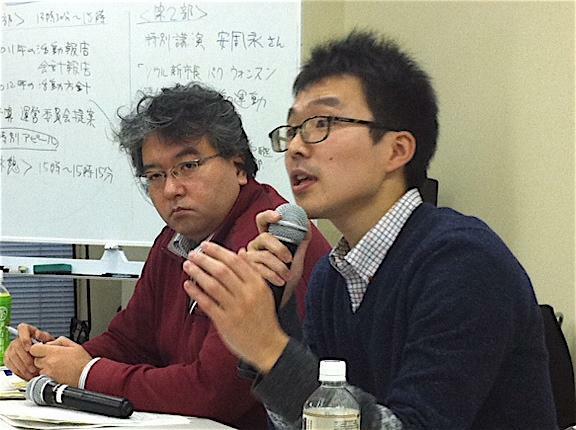 Ustream Video of Dr. An's lecture * Photo: Dr. AN Juyoung, right, with Mr. KAWAZOE Makoto, Labornet Japan Co-Rep. Persistent efforts have been made to include North Korean schools in the free program for public high schools. 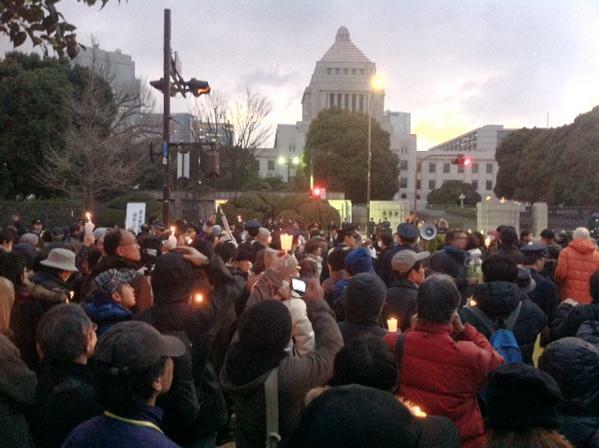 On March 1, protesters surrounded the Ministry of Education, Culture, Sports, Science and Technology in at 4 p.m. and a rally was held in Yoyogi Koen Park in Shibuya Ward later in the evening. 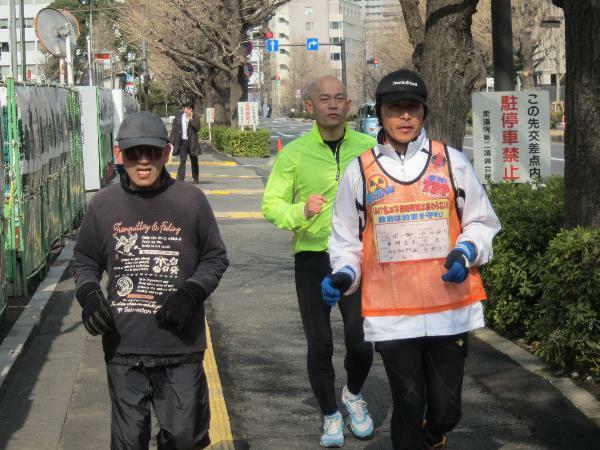 The participants were 250 and 1530 respectively. 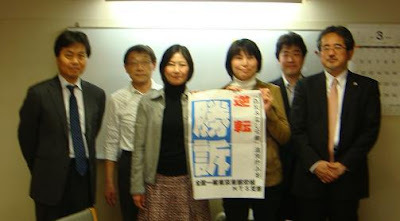 Under the law that took effect in April 2010, foreign schools, including international schools, are eligible for the tuition waiver program if their curricula are recognized as equivalent to those of Japanese high schools. Most of such schools have already been included in the program. 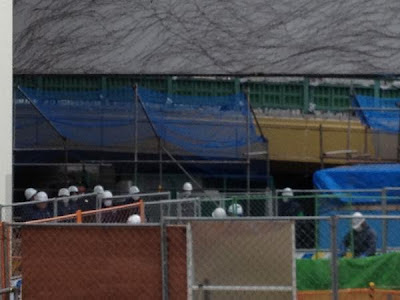 However, the procedures to include Korean schools known as "Chosen Gakko" have been suspended. The official status is that the screening of the curriculum has not been completed. Two batches of students graduated without being benefited from the program. The current school year is about to end. Still, no moves have been made by the education ministry. Many rallies were held nationwide in Japan on March 11, the first anniversary of the Great East Japan Earthquake and the nuclear crisis at the Fukushima No. 1 nuclear power plant. The participants reposed of those who lost their lives in the disaster and refreshed the desire for reconstruction. 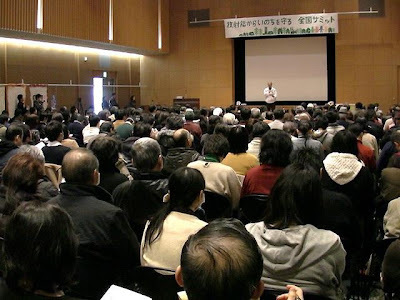 In Fukushima Prefecture, some 16,000 people attended a gathering titled "We don't want nuclear plants! 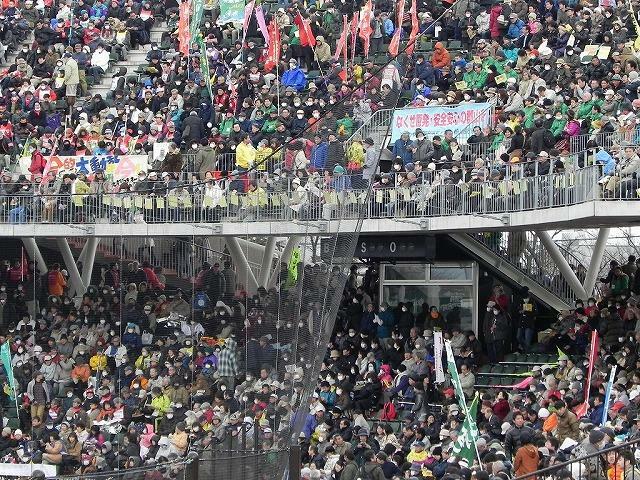 3.11 Rally of the People of Fukushima" that was held at a baseball stadium in Koriyama City. They observed a moment of silence at 2:46 p.m., the time when the earthquake off Tohoku spawned the tsunami that wrecked the Pacific coast on March 11, 2011. At a squire in front of the central railway station of the city, hundreds of candle lanterns prepared by local citizens were displayed, expressing their thoughts and feelings with drawings and words. A Japanese journalist reveals the truth about troubled Tokyo Electric Power Co. Hiroshi Matsuzawa was an economy reporter for a Japanese newspaper. In the '70s and '80s, he covered utility businesses, including troubled Electric Power Co., as well as nuclear reactor makers, Hitachi, Toshiba and Mitsubishi. 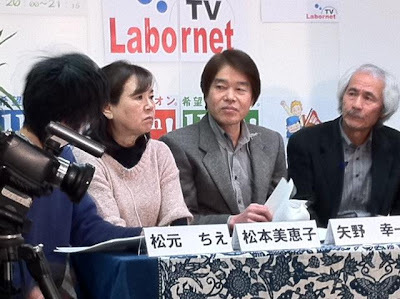 He talked to Labornet TV on March 11. National Union of General Workers, Tokyo Nambu, and its branch, BEGUNTO, on Feb. 27 won a lawsuit demanding compensation for 110 million yen from them for obstructing business with strikes in 2008. 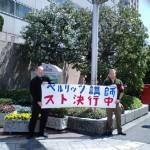 Berlitz Japan sued the union and its branch of language teachers for launching strikes with illegal objectives. The court “did not approve of any lack of justification for strike” and dismissed the company’s claim. 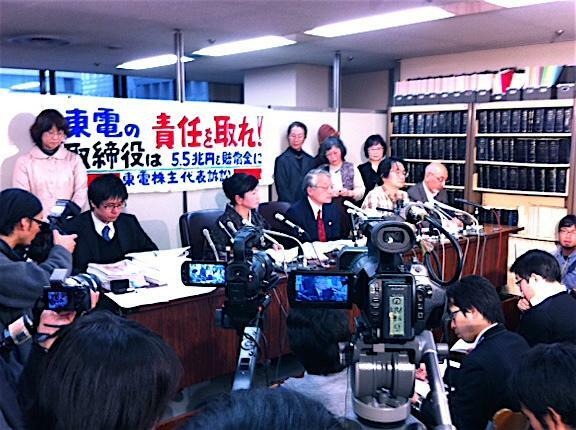 The plaintiff’s objective in this lawsuit demanding the union of 110 million yen in compensation lies in intimidating its workers and the union, as well as threatening the union right. However, the court brought the meaningful verdict that strike is a valid right of trade unions. As Tokyo’s Suginami Ward is a birth place for petition movement for abolishment of atomic bombs, it was the perfect place for a demonstration against nuclear energy. 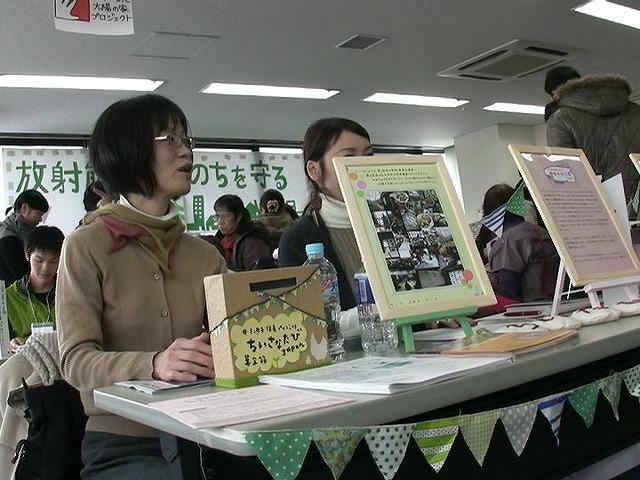 On Feb. 19, a demonstration led by “Shiroto-no-ran (Amateur Revolt)” featured folk dance, kids, drums and mellow people. Some 5,000 of young and not so young people joined the walk. Out of all the people, however, the most surprising feature of this demonstration was the Karaoke troupe. The truck loaded with a Karaoke machine would have anyone who wanted to sing. Protesters proudly demonstrated their talent with their original “anti-nuke” songs one after another. Unlike tense demonstrations last year, it had many participants with relaxed, cheerful expressions on their faces. 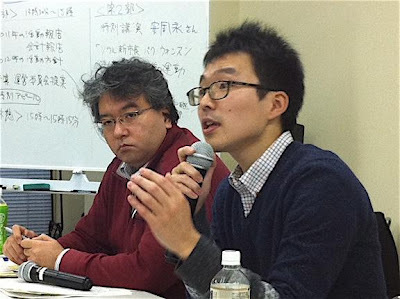 A 21-day run and hunger strike by three unionists ended on Feb. 16. 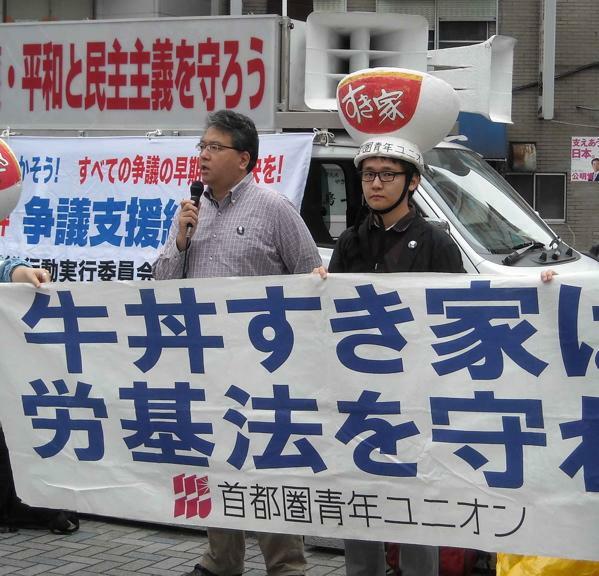 They demanded the government and Japan Railways Co that they keep jobs by their actions, while not accepting the monetary settlement. The run and hunger strike were supported not by unions or joint struggle but by 160 individuals. They also submitted their request to the Ministry of Land, Infrastructure, Transport and Tourism and each JR companies. The new policy of free tuition for high schools started in April 2011 and seems to have had good effects such as increasing the number of students entering high school and reducing the number of dropouts. Schools for North Korean nationals in Japan, known as “Chosen Gakko,” were the only high schools excluded from the free tuition program. The government excluded North Korean high schools due to “the abduction of Japanese citizens by the North Korea” and “military conflict in the Korean Peninsula”, which are all irrelevant to the issue. On February 14th, a meeting to demand free tuition for North Korean high schools was held in the Upper House Diet Member Building. 170 people, including 9 Diet members, attended the standing-room only meeting. The audience heard a lecture by Attorney YOSHIMINE on the Convention on the Rights of Child and speeches from representatives from North Korean high schools. A message of support from South Korea was introduced at the meeting. 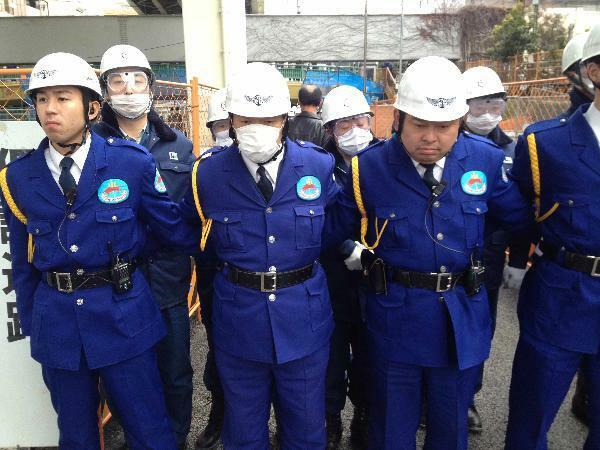 Eviction at Tatekawa River - 100 officers gather to drag away one person!